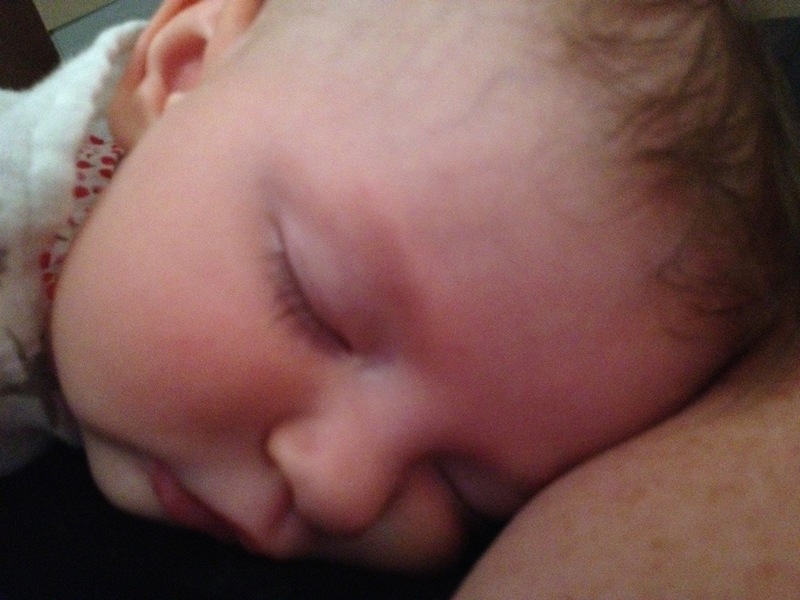 Friday 2 August 2013: One Hundred and Twenty-Three Days Old. Poor little Baby Ayla has been a sick little chicken all day today. Up at 3am for her usual feed, Ayla couldn’t get back to sleep and stayed awake squirming and grizzling till nearly 5am. At 5.25am she was up again and her temperature seemed to have settled in for the day. Although Ayla must have been feeling very under the weather, in true Angel Baby style she still managed some FaceTime smiles for her grandma’s birthday. It was awful to see Ayla all dopey, tired and off her food, but I was surprised to feel good ol’ mummy guilt rear its head and help me see why some people choose not to vaccinate. But, I was quick to remind myself how much worse things could be and I simply held my baby closer than ever. Finally, after a noble 18 hour fight, I gave in to the temptation of baby panadol and tapped out when the thermometer climbed to 38.8 degrees. So now we wait for peaceful dreams and hope for a happy healthy baby tomorrow. Thursday, 1 August 2013: Four Months Old. 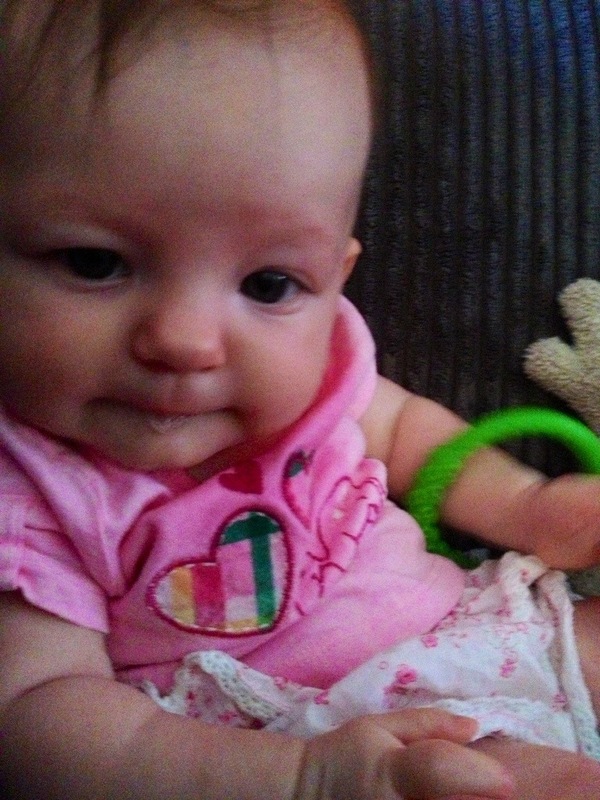 Baby Ayla is four months old today, and she got to celebrate it with two needles and an oral gel. Poor baby… I hate immunisation day but the pain of seeing Ayla cry for a couple of minutes would be nothing compared to seeing her sick. Or worse. It’s just such a shame that they have to happen on her birth-month-day! I’d much rather be giving her cake and presents, handing out lolly bags and adjudicating musical chairs but that will come later. For now, hugs, kisses, cool face-washers and lullabies will have to do.